Generation Rwanda’s 2011 new student selection process is officially open! 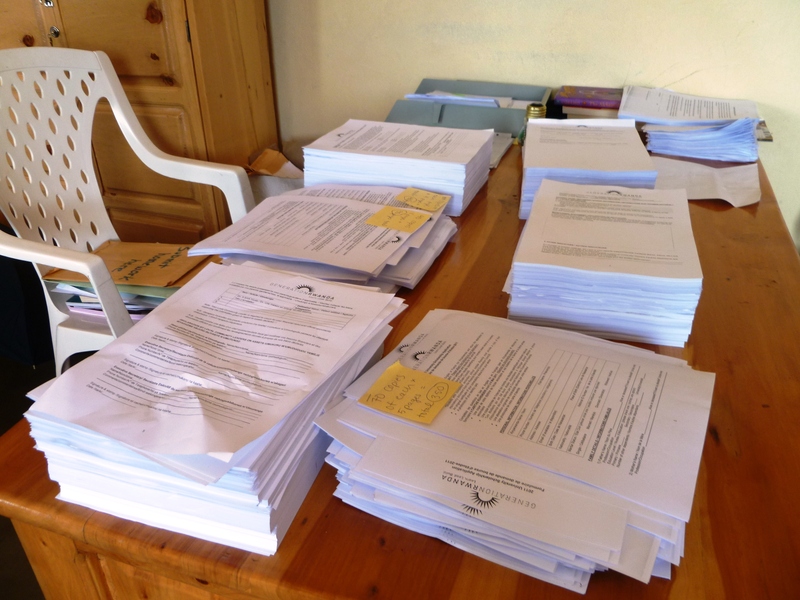 Last week we finalized our applications and sent them off to our ten partners, organizations around Kigali and Rwanda that act as intermediaries in order to avoid an inundation of thousands of hopeful students at our office. 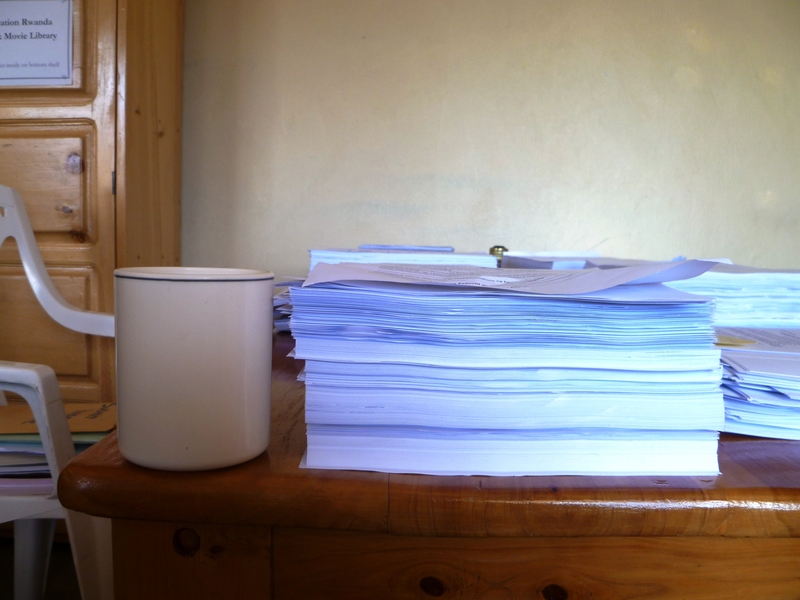 In recent years, student selection has been an extremely competitive process because the Generation Rwanda scholarship is essentially the best university scholarship available in Rwanda (I’m biased, but it is). It provides university students with full tuition, housing, healthcare, monthly living stipend, English training, computer training, career development services, counseling, leadership training, entrepreneurship training, and more. It comes as no surprise that last year we had a 2% acceptance rate: out of 1,500 applicants we accepted 30 who began university this past January. This is the beginning of an extensive two-month process that will end in June. Once we receive completed primary applications, we judge them based on applicants’ scores on national examinations, secondary school results, financial status, and motivation. Successful candidates will be required to sit for a language exam in English or French and complete a secondary application consisting of essays. Applicants who pass the second round of qualifications will then be invited for interviews at the Generation Rwanda office. One of the last steps is a physical verification in which staff members visit the homes of successful students to verify that their financial claims are true and that they are indeed vulnerable and unable to afford university any other way. Completed applications must be returned to the organizations by 3 pm on Friday, May 6th, so don’t delay! Feel free to contact me with any questions at helaina@generationrwanda.org. 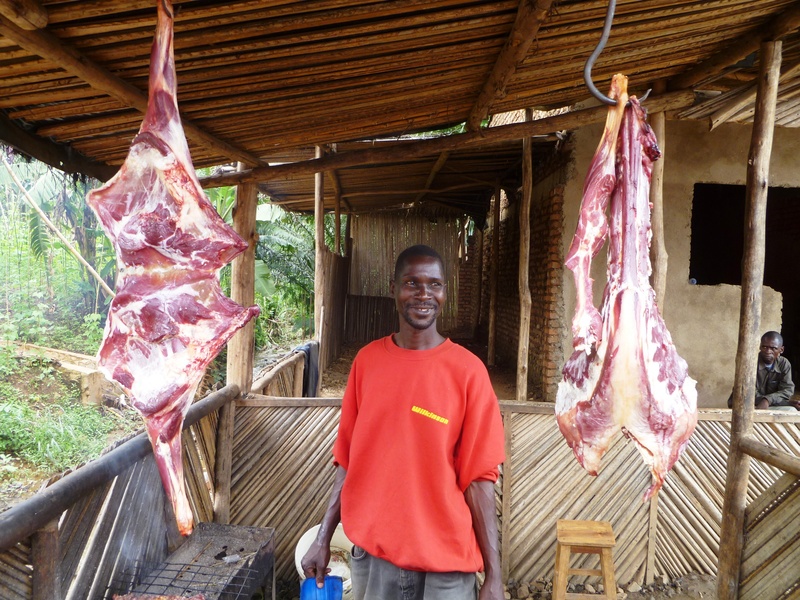 I just returned from a trip to Burundi, Rwanda’s southerly neighbor that is often referred to as its twin country. 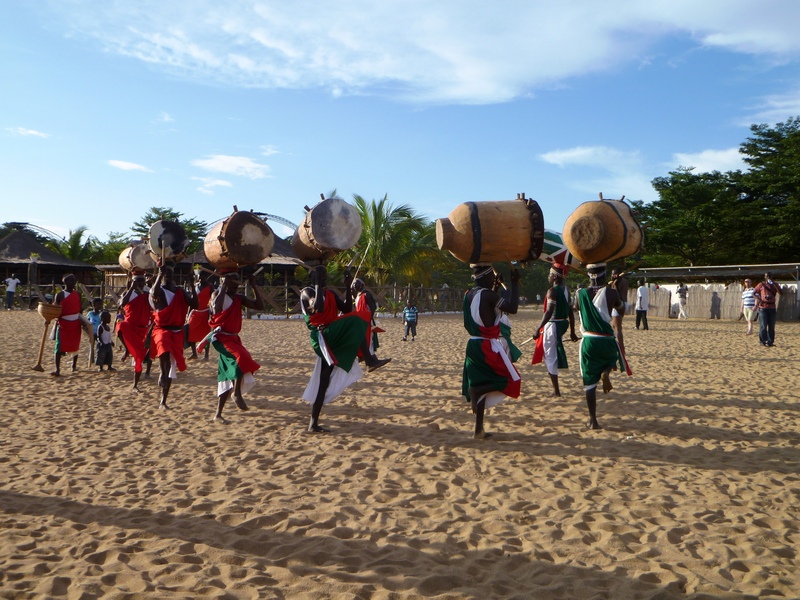 Both nations share related histories full of tragedy and Burundi only recently emerged from its most recent conflict in 2006. 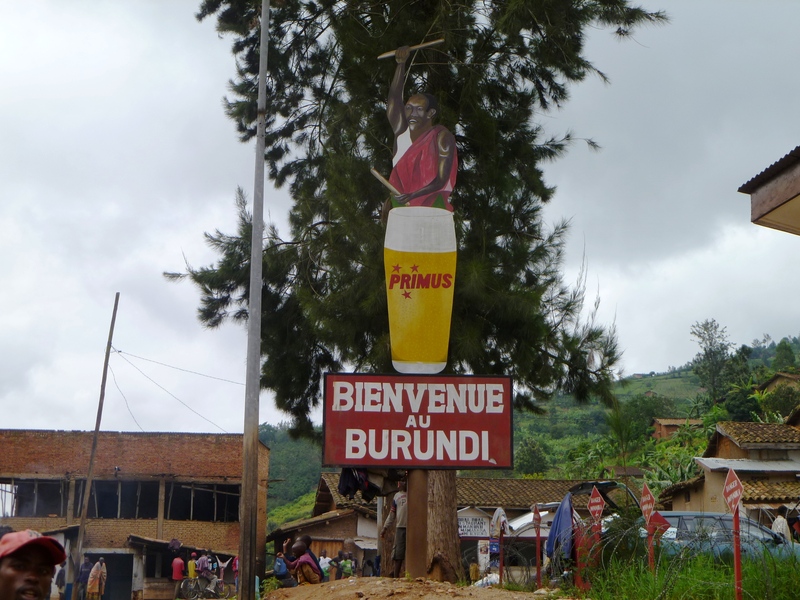 While Burundi’s official language is still French, its local language, Kirundi, is mutually intelligible with Rwanda’s Kinyarwanda. 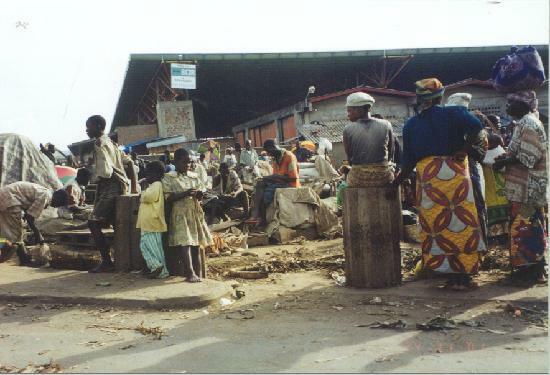 I stayed in the capital of Bujumbura, a city of about 300,000 people. Its untouched colonial architecture and wide boulevards create the feeling of time warp, especially considering the modernization that other East African cities have undergone. 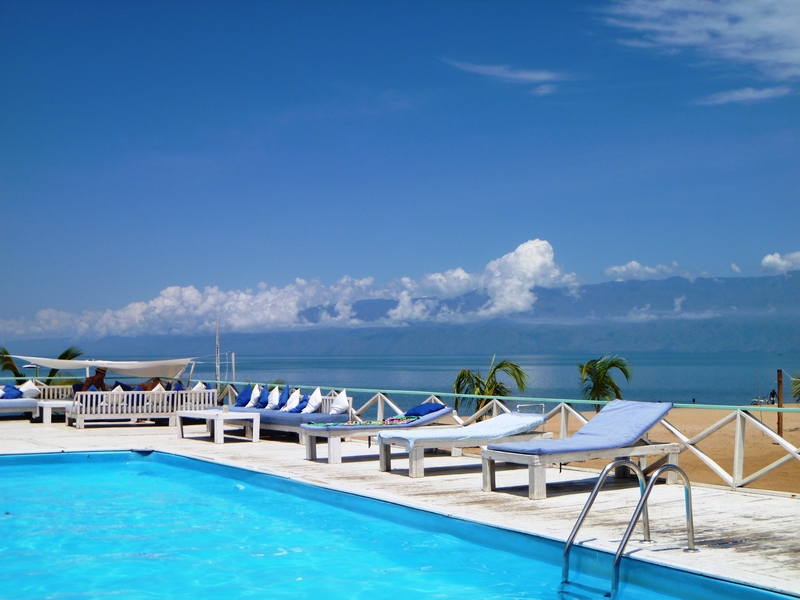 As Bujumbura is located on the northeastern shore of Lake Tanganyika, its most alluring attractions for tourists and Burundians alike are its exquisite beaches and waterfront resorts. 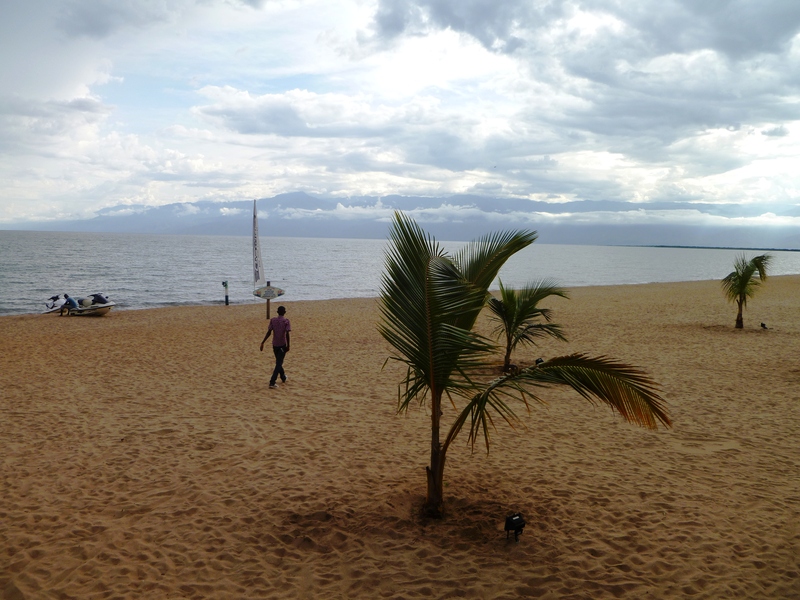 Along other shores of Bujumbura – luckily far from these beaches – there live hippopotamuses and crocodiles. One waitress recounted the story of Gustave, a killer crocodile who has eaten over 200 people. Away from the beachfront and in contrast to its luxurious amenities, most of Bujumbura is essentially a poorer, hotter, and less developed version of Kigali. 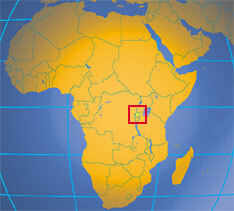 Burundi has an annual GDP per capita of about $160 USD, making it one of the ten poorest countries of the world. The contrast I saw between the standard of living for most Burundians and the luxuries found at Bujumbura’s beachfront is quite uncomfortable and not unique to Burundi. In most of the world’s underdeveloped countries, there are small privileged elites and exotic luxury destination spots off the beaten path. 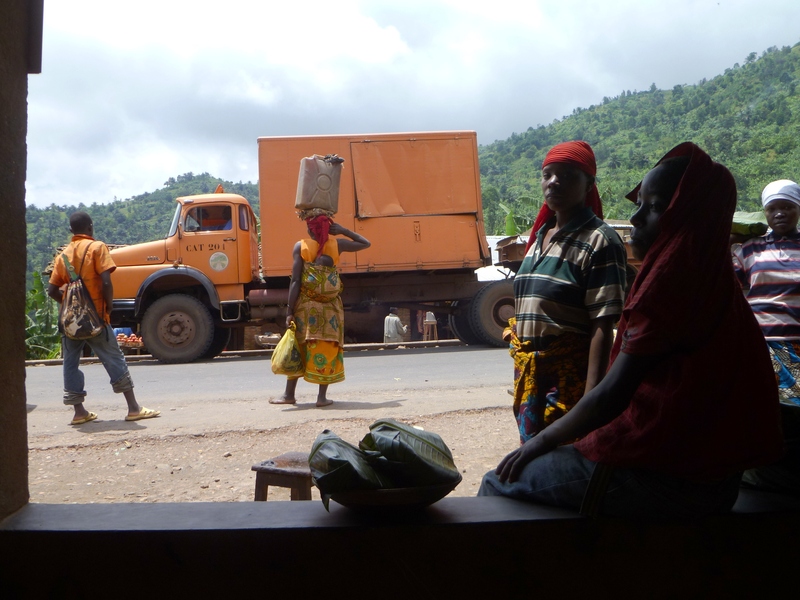 The petty corruption I witnessed on the bus is anything but unique to Burundi, often indicates systemic corruption, and usually goes hand in hand with weak governments and large gaps between rich and poor. 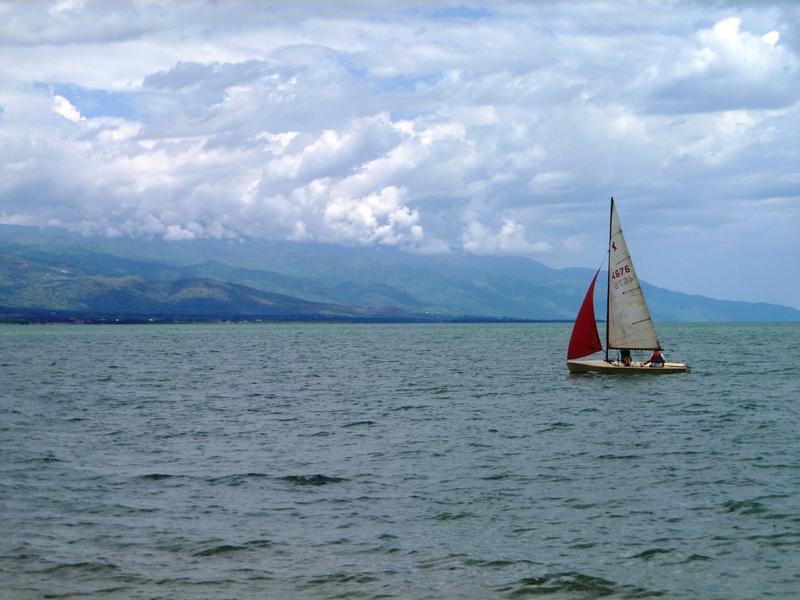 With its strategic waterfront location, Bujumbura has serious potential to be a tourist destination. That is, if the government can successfully transition from post-conflict reconciliation and reconstruction to establishing political stability and accountability, improving security, and attracting more foreign investment. It might take a good decade or so, but if Burundi needs a good model or any advice it need look no further than its northerly twin, Rwanda. Here are some interesting photos from the trip. 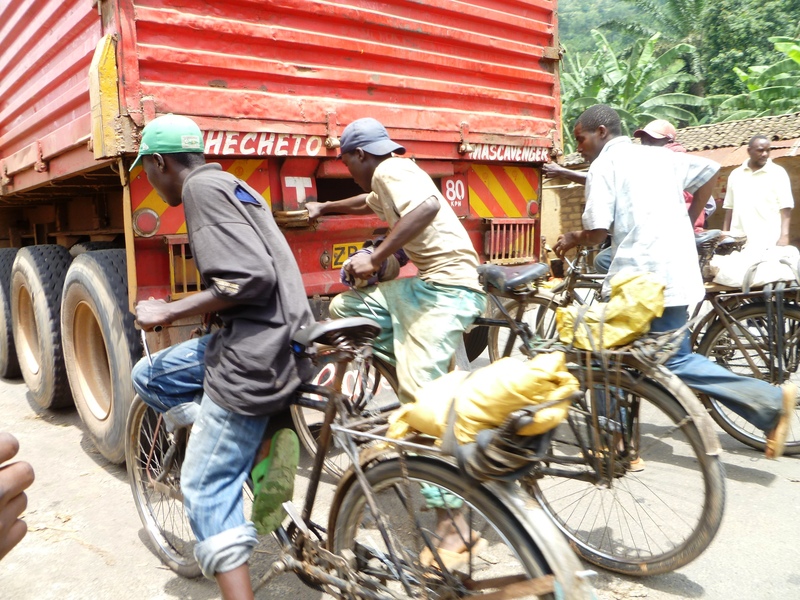 The first three are from the side of the road in rural Burundi after my bus to Bujumbura hit a parked car, delaying the trip by an hour as we all waited for the traffic police to arrive. 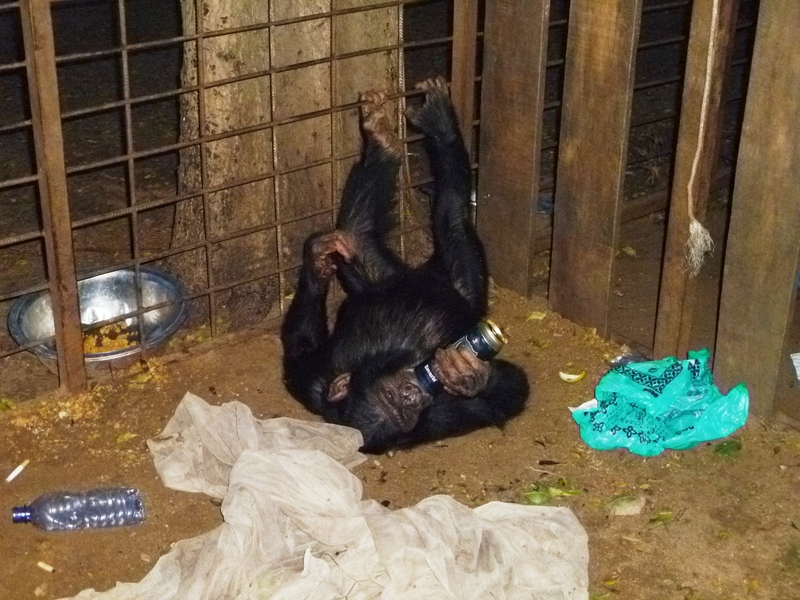 Joe the monkey getting drunk at Saga Plage...his caretakers said he loves beer and I suppose he needs something to help him enjoy his captivity. Yesterday, April 7th, marked the 17th anniversary of the beginning of the Rwandan genocide, in which around 800,000 Rwandans lost their lives within 100 days. The mourning period lasts for one week, during which there are memorial services, candlelight vigils, televised documentaries and radio broadcasts about the genocide, and public billboards about remembrance and commemoration. As purple is the color of mourning here, people can be seen wearing purple ribbons throughout the city. Businesses are closed, music is not played loudly, and the streets are virtually empty to observe the first day. A somber time, this is the week when the entire country reflects upon, discusses, and relives a painful history that is generally kept out of public discourse the rest of the year. All of the Rwandans I know have been affected by the genocide in some way – losing close or distant family members, being displaced, fleeing into exile, having their schooling disrupted, or being traumatized from seeing horrors that no one should ever have to witness, let alone young children. However, despite all of the suffering Rwandans have endured, it is not what defines them. This week and its commemoration events remind me of what it is easy to forget as a foreigner here: that Rwanda was ravaged by genocide a mere seventeen years ago. Going about my day-to-day events and seeing Rwanda from the surface, genocide and conflict is often the last thing on my mind. I think about a new project I’m working on, the development I see every day in the shape of new construction or repaved roads, or the clever and entrepreneurial ways that people manage to make a living. I find it extremely hard to imagine that the streets I walk every day in Nyamirambo were covered with corpses seventeen years ago. In fact, I rarely hear the word genocide spoken out loud and I only see it written in the newspaper occasionally. Ironically, from the outside Rwanda still seems to be defined by its past: when people hear Rwanda they immediately conjure up images of skeletons in mass graves and the phrase “Never Again.” However from the inside, Rwanda defines itself as it envisions itself in the future: a peaceful and prosperous middle-income country, as articulated in Vision 2020. While it is important to remember the past and honor the dead, Rwandans have developed a collective coping mechanism of avoiding to speak at length about their troubled past, at least in public. That is, with the exception of during this week and through the government’s National Commission to Fight Genocide. While it is important for Rwanda to continue moving forward and escape its past, it is equally important to remember and honor its past to ensure that “never again” is a reality. Last week I participated in a working group about professional mentorship, organized by the Babson Rwanda Entrepreneurship Center (BREC) as a follow-up to their “Workshop on Supporting Entrepreneurs” that I attended last month. The initial March workshop convened around thirty representatives from organizations in Rwanda with similar visions that support entrepreneurship in different ways. As I am the point person for entrepreneurship trainings here at Generation Rwanda, I attended along with our Program Director. Some of the other organizations/institutions represented were Bridge2Rwanda, Kigali School of Finance and Banking (university), Youth Employment System, Educat, DOT Rwanda, and Rwanda Village Concept Project, to name a few. In an effort to help foster the budding culture of entrepreneurship in Rwanda, the BREC leaders presented the four main challenges to entrepreneurship that they had identified through a recent survey of entrepreneurship resources in Kigali: lack of access to finance, cultural and mindset-related obstacles, lack of communication, and a weak culture of mentorship. Last week’s meeting was a follow-up to continue the discussion about mentorship. – The culture of mentorship in Rwanda is weak because of a lack of commitment, time, or interest on the part of mentors; a lack of initiative on the part of potential mentees; and because many people simply don’t understand the meaning or value of mentoring. – For organizations setting up formal mentoring programs, successful strategies to maintaining mentorship programs include setting clear expectations from the beginning, dipping into the “alumni” pool from organizations that build human capacity and train people, setting a schedule but being flexible, and providing sufficient initiation and introduction to mentors. – For individuals hoping to be mentored, successful strategies include being persistent, actively seeking out mentors, and keeping in touch with employers and professors. At last week’s follow-up meeting, the working group discussed potential tangible projects that would improve the culture of professional mentorship in Rwanda. Some ideas were to hold focus groups to better understand the experiences and challenges for potential mentors (established businessmen and women) and mentees (young professionals), create a database of professional mentors in different fields, compile and share best practices for organizations working to establish sustainable mentoring programs, publicize existing resources and guidebooks for mentors, and facilitate awareness campaigns to add the term “mentorship” to the Rwandan vernacular. BREC is planning to create an online portal where all of these projects and resources will be available for public access. Once it’s up and running I’ll post a link.